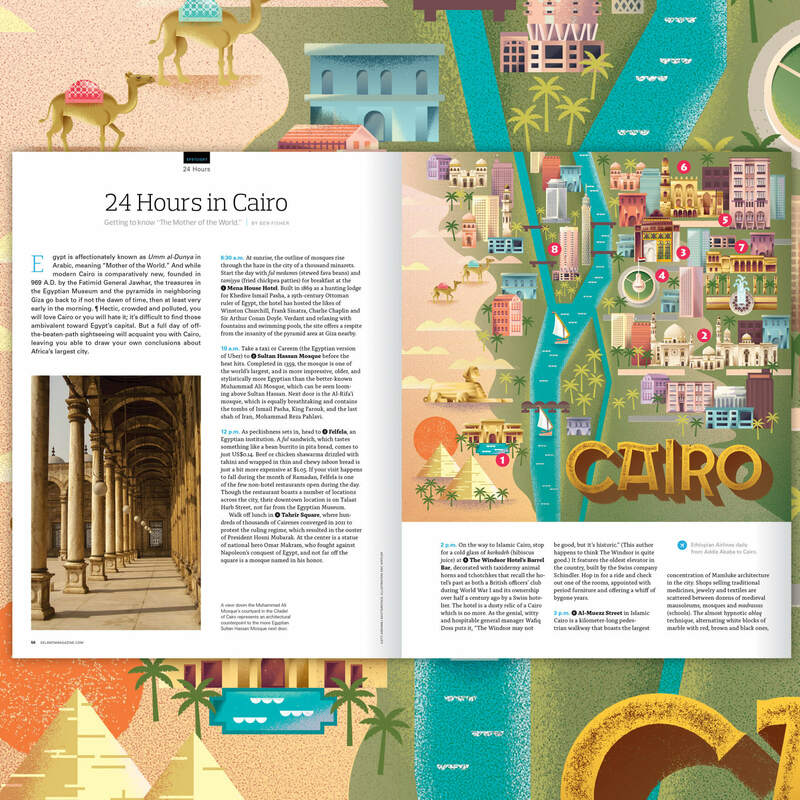 This fully illustrated map of Cairo was created for Selamta, the in-flight magazine of Ethiopian Airlines. 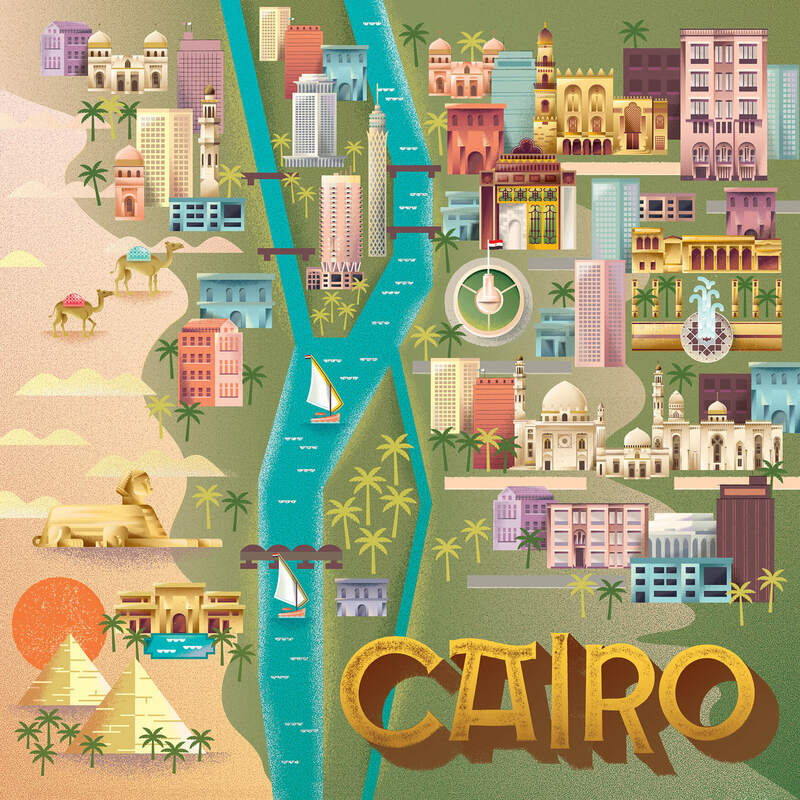 This map highlights eight specific attractions (as well as a few more buildings and historic sites that I couldn’t resist drawing.) Drawing tiny, geometric buildings is one of my all time favorite things, so I proooooobably spent a little more time on this piece than I should have, but dammit, I was just having too much fun.